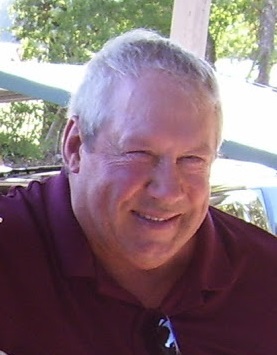 Gary Alm, 71, Crab Orchard, NE, died Thursday, November 22, 2018 at his home. He was born February 2, 1947 in Lincoln, NE. Gary served in the US Army in Vietnam. He did custom haying, farmed, worked for Peterson MFG, Kees MFG, Yazoo, and Husqvarna. Gary enjoyed raising Black Angus Cattle, Black Labs, fishing, hunting, was an avid bowler, watching old westerns and the game show channel, country music, collecting John Deere Tractors, and especially spending time with his grandkids. He married Linda Pralle May 22, 1981. Survivors include his wife, Linda of Crab Orchard, NE; daughters, Shelly Alm and special friend Bill Manthei of Beatrice, NE and LeAndra Rohmeyer and husband Justin of Summerfield, KS: Step-sons, Jason Pralle and wife Rebecca of Beatrice, NE and Jesse Houseman and wife Melissa of Blue Springs, NE; step-daughter, JoDee Houseman and special friend Alex Wahlstrom of Beatrice, NE; 10 grandchildren; 4 great-grandchildren; brother, Donnie Alm and wife Nancy of Filley, NE; nieces and nephews. He was preceded in death by his parents, Leland and Rose (Zvolanek) Alm; brother, Larry Alm and Terri; and sister, Beverly Jacobson. Memorial Services will be held 10:30 a.m., Wednesday, November 28, 2018 at Harman-Wright Mortuary Chapel in Beatrice with Pastor David Bigley officiating. Inurnment will be in the Filley Cemetery, Filley, NE. No viewing but a guestbook is available from 9:00 a.m. to 5:00 p.m. Tuesday at the mortuary. A memorial is established to the family choice. www.harmanwrightmortuary.com Harman-Wright Mortuary in Beatrice in charge of arrangements.